Kathmandu - Chitwan National Park Tour - Blue Mountain Travels and Tours (P.) Ltd. Surrounding Royal Chitwan National Park in southern Nepal is one of the best-planned and most intelligently developed tourist areas in Nepal. Not only does it offer a wide variety of resorts and lodges, it is also easy to reach – by road or by air. Regular flights are scheduled by Royal Nepal Airlines and other airlines to Meghauli, Simara and Bharatpur. Many resorts provide coach service. Local buses offer a choice between a night ride and a day ride. 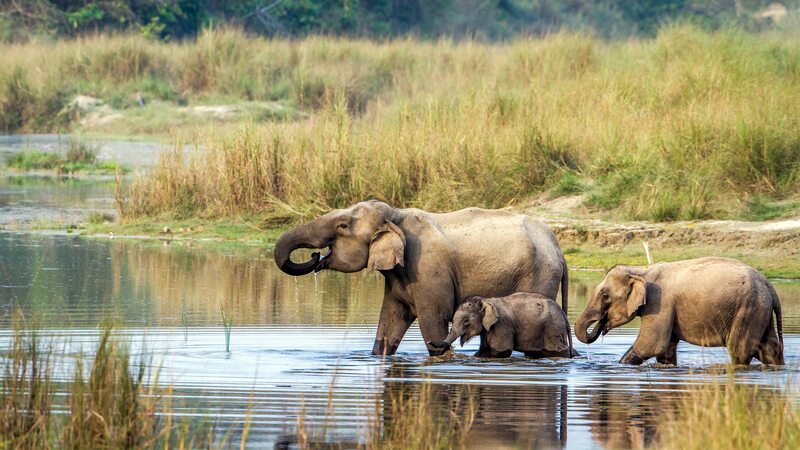 Royal Chitwan National Park is perhaps the best park in Nepal for seeing animals in the wild. 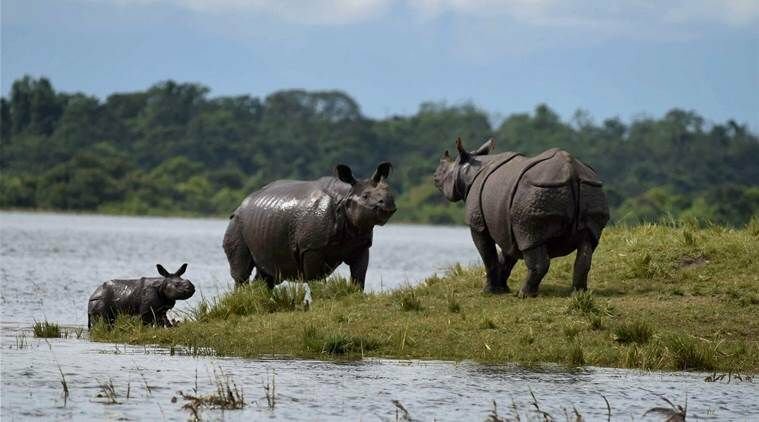 In the earlier part of the century, when rapid deforestation was devastating Nepal’s southern Terai belt, His Majesty’s Government of Nepal intervened and proclaimed the Chitwan area a national park. Royal Bengal tigers roam the region; one-horned rhinos can be seen charging through the underbrush, feeding and even courting. The Rapti River has been dammed to form a man-made lake called Lamital where water birds and marsh mugger peckers and many other birds are found in plenty in these forests. Elephant grass, five to six feet tall, provides excellent camouflage for animals. This grass serves as food for the gaur (a local bison), rhino and other herbivores. Once a year, local people are allowed into the park area to cut grass. The grass is dried, and used to thatch roofs or stored for food for the domestic animals during the dry season. Leaving Kathmandu from Thankot Check Post, follow East- West Highway till Narayanghat and take branched path to Chitwan National Park. It takes 5-6hrs to reach Chitwan from Kathmandu. Stay overnight in a lodge inside National Park. Visit Tharu village in the evening and enjoy the cultural show. Full day exploration in Chitwan National Park. 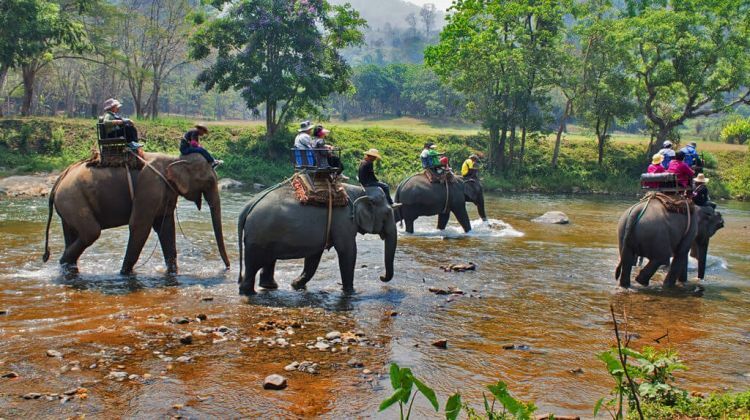 Select from jungle walking, canoeing in Rapti River, jeep safari and elephant back riding. Visit elephant breeding center. 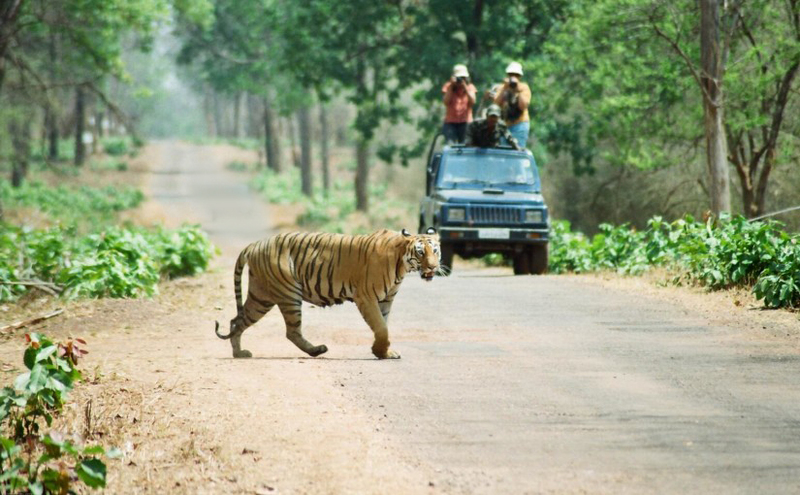 Get face to face with one horned rhinoceros and Royal Bengal tiger and view several species of floras, faunas and birds. Drive from Chitwan to Kathmandu. The route is scenic with views of Trishuli River, Cable Car, green hills and terraces. Go for shopping in Thamel. Enjoy pleasant dinner in evening.